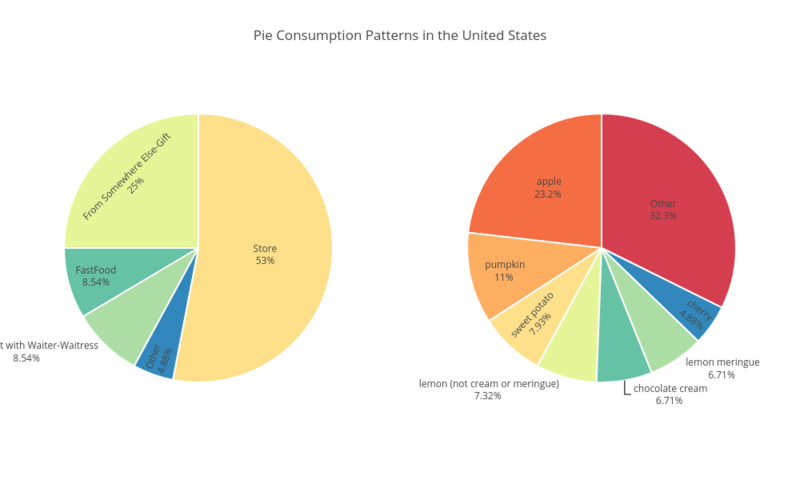 Kindofluke's interactive graph and data of "Pie Consumption Patterns in the United States" is a pie, showing Sources of Pie vs Flavors of Pie. The x-axis shows values from 0 to 0. The y-axis shows values from 0 to 0.